Every now and again you meet someone who inspires you. Anna Kochan is one of those people. 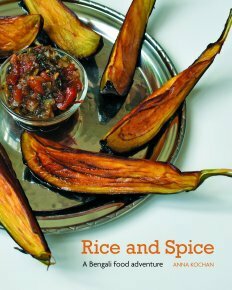 I met her at Food Festival in Leeds and was asking about her story and why she had written and published - Rice and Spice by Anna Kochan, a Bengali Food Adventure. It turns out that Anna was listening to the Radio one morning where they were talking about a charity in Kolkata, India which supports the street children, called Future Hope Charity. (This was before the plight was highlighted even further by the amazing book and film - Lion by Saroo Brierley , and he was one of the lucky ones). Inspired by the report she contacted the charity and volunteered in Kolkata for 6 months. Whilst she was there she collected "everyday" traditional Begali recipes, including breads, dals, curries and vegetable dishes. The majority of the recipes are vegetarian, but there are a few classic chicken and fish recipes. I can vouch for their tastiness as I was being allowed to taste gorgeous aubergine pakoras and chick pea dal. 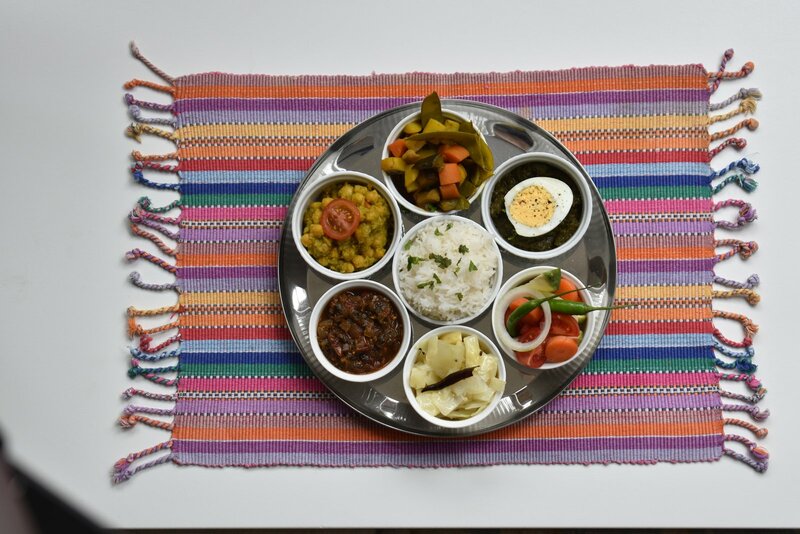 A classic Thali that Anna has recreated in her recipe book. All the money raised from the sale of the books (I do mean ALL as all the costs have been taken care of ) are going to this amazing charity - Future Hope. Some of the children being helped by the Future Hope Charity in Kolkata, India. Now celebrating its 30th anniversary, Future Hope gives the most needy children in Kolkata a secure stable home and a great education. 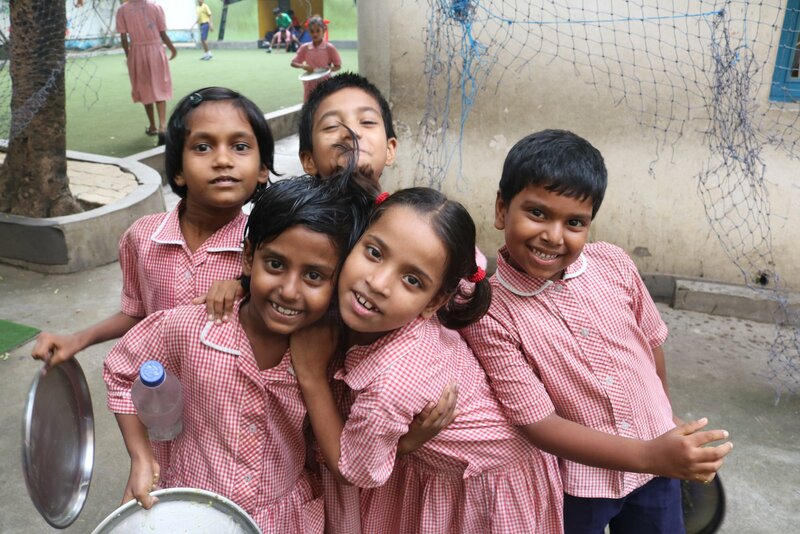 Every day, more than 250 boys and girls attend Future Hope's school and enjoy a nutritious Bengali home-cooked lunch. bout half of the live in one of Future Hope's seven homes. Some 80,000 children go missing in India every year. Future Hope works to change the lives of destitute children and help them to become independent, self-supporting members of society. Former students have gone on to develop successful careers in the hospitality industry, IT and financial sectors and sports management. It is always amazing to meet people who have not only been moved by hearing news stories but have actually decided to do something about it. I hope you enjoy the recipe book as much as we do. Every penny from the book sold via Steenbergs.co.uk is going to the charity.